Provides holistic support for your prostate health, supporting normal urine flow. Provides holistic support for your prostate health, supporting normal urine flow. 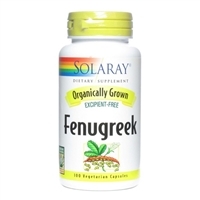 Supports prostate health and healthy aging with a combination of whole herbs and whole-food antioxidants. Warnings & Disclaimers: Caution: As with any dietary or herbal supplement, you should advise your health care practitioner of the use of this product. If you are nursing, pregnant, or considering pregnancy, you should consult your health care practitioner prior to using this pro This product is not intended to diagnose, treat, cure or prevent any disease; the law applicable to dietary supplements, the Dietary Supplement Health and Education Act of 1994, commonly referred to as DSHEA, does not permit us to do so and it is not our intention to do so. The Contraindications and Potential Drug Interactions information provided on this website is not intended to be all-inclusive. Keep your healthcare provider informed about any herbal and other dietary supplement products that you are taking. Avesta Shatavari is of the highest potency Shatavari supplements, standardized to 40% saponins. Avesta's pure and potent Shatavari is the primary phytoestrogenic, auyurvedic herb for women's health and rejuvenation. Traditionally used to promote lactation and address female dryness. This product is not intended to diagnose, treat, cure or prevent any disease; the law applicable to dietary supplements, the Dietary Supplement Health and Education Act of 1994, commonly referred to as DSHEA, does not permit us to do so and it is not our intention to do so. The Contraindications and Potential Drug Interactions information provided on this website is not intended to be all-inclusive. Keep your healthcare provider informed about any herbal and other dietary supplement products that you are taking. Avesta Tribulus full spectrum, high potency extract of Tribulus delivers 60% saponins and inlcudes the key compound, protodioscin. Tribulus is a classic Ayurvedic herb for men's rejuvenation and vitality. Ashwagandha is one of the most highly regarded and commonly used adaptogens in the Ayurvedic pharmacopoeia. Maca has a rich history of traditional use as a panacea and is referred to as 'Peruvian ginseng.' Specifically, it is prized for its adaptogenic and nutritive qualities. Ashwagandha is one of the most highly regarded and commonly used adaptogens in the Ayurvedic pharmacopoeia. 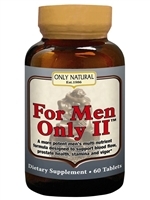 help men maintain the foundations of optimal vitality. Solaray® organiclly grown products are 100% vegan, excipient free and contain no fillers or additional ingredients. Organic farming protects consumers' and farm workers' personal health, improves soil and water purity, encourages biodiversity and supports small farming operations.